We all love the rains, and we welcome the first showers with pleasure after the scorching summer heat. Even though monsoon is very pleasant, it can play havoc with our skin by affecting our skin and making us suffer from all sorts of discomforting problems. Which is why we need to take extra care in the rainy season as we are more vulnerable to get troubled with fungal and bacterial infections easily during this span of the year. So, aren’t you curious to learn how you can stay away from skin problems in the rainy season? Rest your worries, as here we tell you how you can enjoy the monsoon without any skin concerns. Cleanliness & personal hygiene are two extremely important factors to follow in our day-to-day life as they will protect as well as help us to enjoy the rains by keeping skin problems at bay. Make sure you keep your surroundings clean and follow good personal hygiene habits. The resistance of your body is another important aspect which is crucial when you want to stay away from skin infections. The resistance of your body gets diminished when some common infections affect you during the monsoon. Muggy, sweaty weather brings along with it a host of diseases which shake the immunity of the individual. There are a few universal problems that the most of us happen to face during the monsoon madness. 3. A prickly heat that leads to red pimply eruptions. When you suffer from excessive sweating, it makes your skin pores to clog and gives rise to prickly heat and red eruptions on skin increasing your discomfort. 4. Athlete’s Foot- When your feet are in contact with wet shoes for long, they lead to a painful fungal infection known as Athlete’s Foot. 5. Fungal & Bacterial Infections – Infections lead to intense itching, redness, particularly around your skin folds. People are more susceptible to infections due to the change in temperature and exposure to the increased humidity.Homeopathy has a broader spectrum when it comes to dealing with monsoon madness. It is very beneficial as it boosts your immunity and speeds up the body’s healing processes to fight against these infections.Homeopathy offers satisfying and safe results when dealing with all the above conditions during monsoons.Prevention is better than cure is a universal fact. 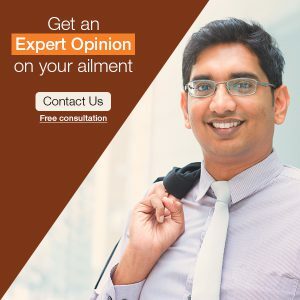 So, you should not hesitate & just go for homeopathy, when you are likely to acquire one of the skin concerns in the rainy season and protect yourself from all the possible skin problems easily and effectively. -Written by Dr. Karishma, Associate doctor to Dr. Rajesh Shah. Aren’t you curious to learn how you can stay away from skin problems in the rainy season?